Seaport Wool Blend Storage Baskets. From Glam and Industrial, to Coastal and Farmhouse Chic, the Cucha Scoop Bowl will be a perfect fit! 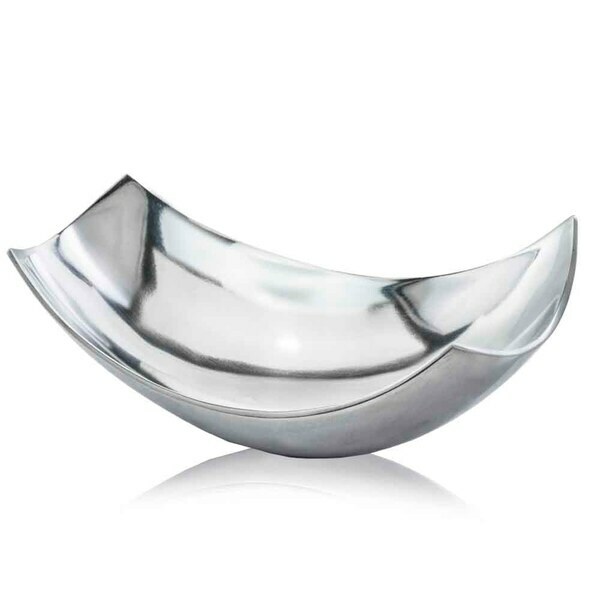 The Cucha Scoop Bowl comes in 2 sizes large and small, and two finishes, Silver and Gold to accent any home' s current decor. Modern Day Accents combs the globe to find the finest, most thought provoking, and unique accents to complete your home's décor. All items are purchased in small quantities, so you know your new favorite treasure is rare, and not on every shelf on the block. Please feel free to check out our full line of decorative accents and small furniture pieces. Dimensions 17.25 In. X 9.75 In. X 5.5 In. Organizing and decorating your home go hand-in-hand when it comes to beautiful storage baskets, totes, and bins. Clearing clutter and complementing your decor can be accomplished at the same time when you store your things in wire, wicker, or plastic storage containers.